After debuting this Fall with a well-received single collaboration with Ayria, Toronto's own v01d is set to launch his debut double-CD on Artoffact Records. 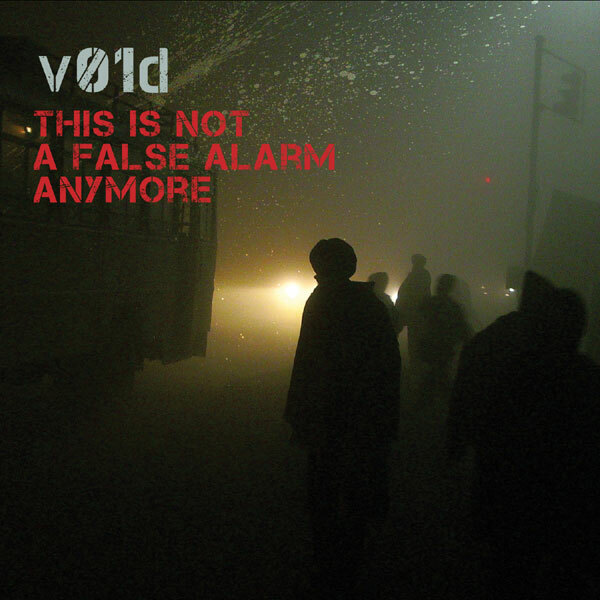 Entitled This Is Not A False Alarm Anymore, v01d's debut is a sonic riddle without any easy-access key. The album is dense and cerebral, veers into strange territory for industrial, including off-time drumming, live guitars, and very well-written lyrics. Not your usual fodder. Of course, v01d shows his roots on every track, meshing elements of Haujobb, Boards of Canada, Pop Will Eat Itself, Faith No More, and Underworld into a slick and surprising release. This Is Not A False Alarm Anymore is yet another quality release to come out on the Artoffact label and firmly places v01d as a new and innovative artist to watch! Burnt Upon Re-Entry (the companion disc to v01d’s stunning debut CD) contains 8 remixes and 2 new songs available as either a digital download or as an exclusive limited edition CD in the limited version of This Is Not A False Alarm Anymore. Listeners receive the already-noteworthy collaboration with Ayria, and add to that remixes from Artoffact artists Standeg and Headscan, and you have the makings of a superb aural experience. If that wasn’t enough, invited guests Memmaker and Diskonnekted round out the disc with remixes of their own. The new tracks “Cold To The Touch” and “I.Am.Fire” are spectacular. Fans of electronic-industrial that is not afraid to experiment and take risks will hail v01d as the second coming. Released on Artoffact and available November 24th, 2009.